TOKYO (AP) — Asian shares have turned lower after early gains, despite the overnight jump on Wall Street. Worries over corporate earnings, trade and the outlook for growth weighed on sentiment. KEEPING SCORE: Japan’s benchmark Nikkei 225 lost 1.1 percent to 21,026.97 on Friday, while South Korea’s Kospi plunged 2.6 percent to 2,010.46. Australia’s S&P/ASX 200 gave up 0.4 percent to 5,640.60. Hong Kong’s Hang Seng sank 1.5 percent to 24,609.81 and the Shanghai Composite shed 0.5 percent to 2,589.65. Shares rose in Indonesia but fell in Taiwan and elsewhere in Southeast Asia. WALL STREET: The rally wiped out a large part of the market’s plunge from the day before. The S&P 500 index jumped 1.9 percent to 2,705.57. 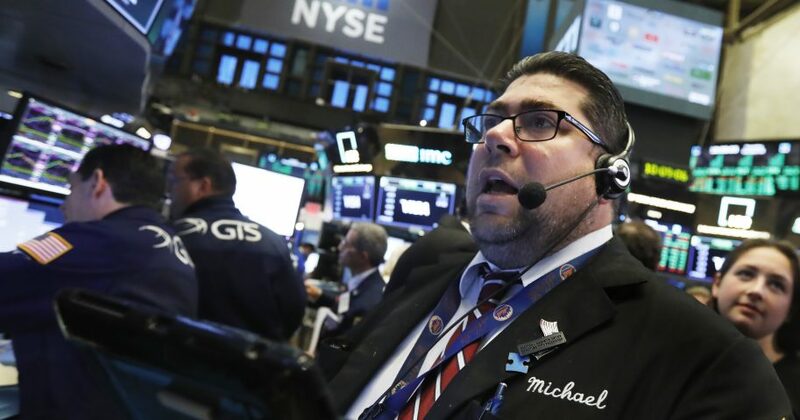 The Dow Jones Industrial Average rose 1.6 percent to 24,984.55 and the Nasdaq surged 3 percent to 7,318.34 after its biggest drop in seven years. MARKET WORRIES: Investors are worried that rising interest rates and disputes with trading partners could hurt economic growth and corporate profits. They get more insight into how the American economy is doing later in the day when the U.S. government reports on economic growth during the third quarter. ENERGY: Benchmark U.S. crude fell 66 cents to $66.67 a barrel in electronic trading on the New York Mercantile Exchange. It gained 51 cents to $67.82 on Thursday. Brent crude, the benchmark for international oil prices, dipped 53 cents to $76.37. CURRENCIES: The dollar fell to 112.17 yen from 112.43 yen. The euro fell to $1.1367 from $1.1375.